What can you wear with a striped top? Just about anything. It’s such a versatile style you can pair with jeans, colored jeans, a skirt – so many things! I would add a striped top as a must-have item for your closet. Take a look at some fabulous styles below. 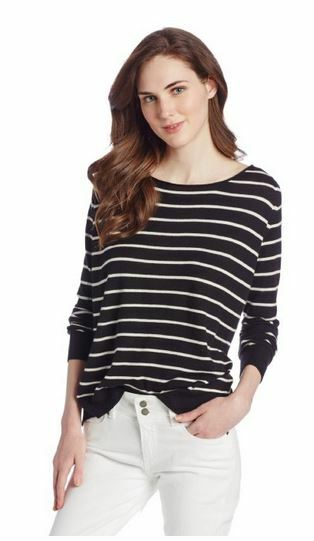 This black and white striped long sleeve sweater is paired with white jeans and it looks great. It’s perfect for a casual day out. 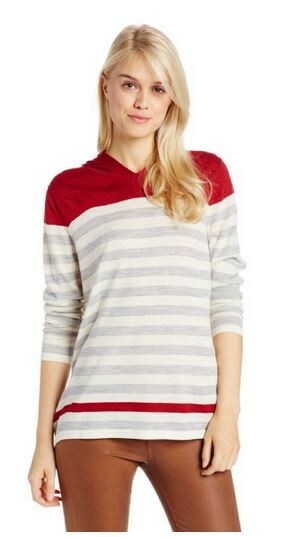 I adore this Calvin Klein hooded striped sweater. It looks super comfortable,but not oversized and bulky. Would you have thought to pair it with brown jeans? It looks good doesn’t it? Love it. Given that I’m a tad bit older than the girl pictured above, there is no way I’m going to wear a striped shirt bearing my mid-drift. No way. But, I would wear a striped shirt with a chambray skirt. Now that, that is cute. 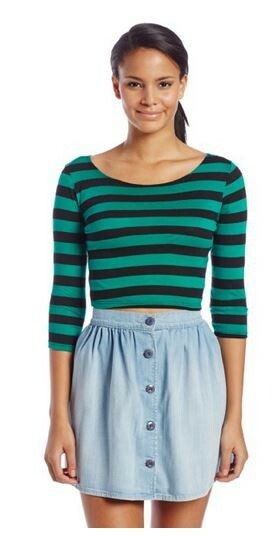 I think the quarter sleeve striped shirt is the perfect spring time look with a skirt, don’t you? 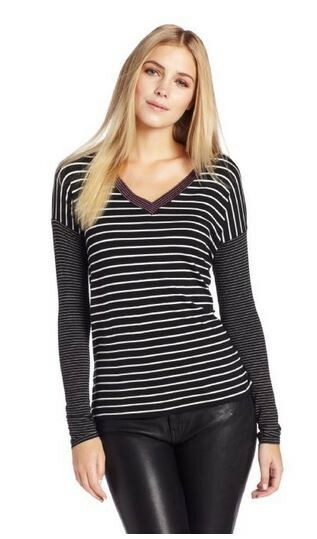 I absolutely love this striped top because of the mix of bold and skinny stripes. It’s from French Connection and I’ve decided I must have it. I also absolutely love mixing a black and white striped print with a bold color pant. This outfit just pops! It’s so simple, fashionable and super comfortable. 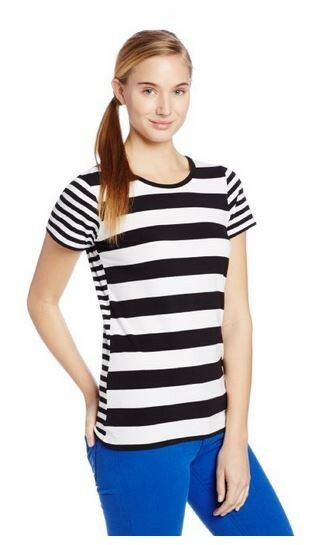 Here’s another mixed stripe tee, but this one is paired with…drum roll please…leather pants. Ooooo la la! 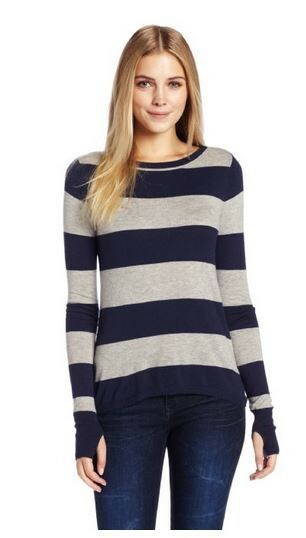 Last, but certainly not least, pair a bold striped sweater with your favorite pair of jeans. Lace up those Chuck Taylors and call it a day. What’s your favorite way to wear a striped top?